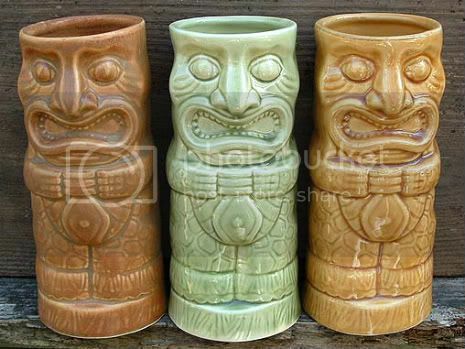 Tiki Theme on Its Way Back?! I've been pretty bummed ever since Polynesian-themed Trader Vic's shuttered last year, so I was thrilled to find out from Time Out Chicago that the Melman brood has decided to add a tiki-themed component to their upcoming project. "It will be housed in a 4,000-square-foot space that is being built out below Bub City, but unlike SUB 51 and Studio Paris, the lower/upper-level club components to HUB 51 and Paris Club, the as-yet-unnamed tiki bar will be a completely different concept with its own entrance. Also, SUB and Studio Paris 'are nightclubs,' (partner) RJ Melman says. '(Bub City and the tiki bar) are not nightclubs.'"